Chennai is familiar for various things, it is also very familiar for having automobile manufacturing units and industries around the city. There are lot of automobile companies in Chennai. We have given a detailed study about the best automobile manufacturing companies in Chennai. These companies indulge in manufacturing heavy vehicles, cars, bikes etc. Chennai is called as the Detroit of Asia as it houses major automobile companies and allied industries in and around the city. Please note that we have put our best effort to come up with top 10 best automobile companies in Chennai. However, you can notify us if you find any data to be incorrect, please feel free to notify us anytime via the comment section. Ashok Leyland was established in the year 1948 and has its head quarters in Chennai. Ashok Leyland plays a vital role in the Indian automobile industry as they are the leading producers of heavy vehicles. They are the 2nd largest manufacturers of commercial vehicles in India, 4th largest manufacturers of buses in the world and 16th largest manufacturers of trucks globally. Its products include Automobiles, engines, commercial vehicles etc. Ashok Leyland was founded in 7 September 1948. BMW is the world leading manufacturers of automobiles and motorcycles found in the year 1916. The fame did not come only from the product but also from the technology they use. They focus towards digitalization and sustainability. It has spread its wings in 14 countries and has over 122,200 employees. BMW India was established in the year of 2006. It was started as a sales subsidiary in Gurgaon. Later, aA state-of-the-art assembly plant for BMW 3 and 5 Series started operation in 2007 in Chennai. The initial investment for construction of the plant was more than one billion Indian Rupees. The construction started in January 2006. Actual operation was started in 2007. This plant produces the different variants of BMW 3 Series, BMW GT, BMW 5 Series, BMW 7 Series, BMW X1, BMW X3, BMW X5, Mini Cooper S, Mini Cooper D, Mini Countryman, BMW Z4, BMW X6, BMW M Cars, and BMW i8. Daimler is a pioneer producer of premium cars and commercial vehicles found in the year 1886. They are familiar for the Mercedes Benz cars, Mercedes Benz trucks, and Daimler buses. Daimler is the most successful automobile company. It has its production facilities in North America, South America, Europe, Asia and Africa. Ford Motor Company, a global automotive leader set up Ford in India. Ford was established in the year 1995 in India. They are global producers of luxury car. Ford has its corporate office in Chennai. Its signature car models are Ford Figo, Ford Eco Sports, Ford Fiesta and so on. Ford is the leader for car production in India. Ford manufactures and exports vehicles and engines. Their integrated manufacturing facilities are located in Chennai in the state of Tamil Nadu and Sanand in the state of Gujarat in India. The manufacturing facility in Chennai is located in Maraimalai Nagar, near Chennai. It is famous for producing its award-winning range of products including the Ford EcoSport and Ford Endeavour. Hyundai Motors India limited was established in the year 1967 which is the subsidiary company of Hyundai Motor Company. It is the second largest car manufacturer in India. Hyundai Motors India limited is the major exporter of car that exports to 92 countries. Their famous car brands are i10, Grand i10, Elite i20, Eon, Verna, Xcent and many more. Hyundai currently has ten car models across segments – Elite i20, Active i20, Xcent, Eon, i10, Grand i10, Verna, Creta, Elantra and Santa Fe. The chennai plant is a state-of-the-art manufacturing plant that boasts advanced production, quality and testing capabilities. Nissan is the largest vehicle manufacturing company. It currently manufactures over 20 countries including Japan and offers products in over 160 countries worldwide. Their main aim is to produce innovative automobile products at superior quality. Terrano, New Sunny, Micra Active are the spolights products of this brand. Renault was established in the year 1899, the company produces wide range of cars and vans. Scala, Kwid, Pulse, Duster are the highlight products of this brand. Renault and Nissan alliance is the fourth largest automotive group. Tractors and Farm Equipment Limited is popularly known as TAFE. TAFE was established in the year 1960. TAFE is one of the leading manufacturers of tractors, Hydraulic pumps, engines and machinery parts. TAFE is the third largest manufactures of tractors in the world and the second largest in India by volume. They have earned so many awards for their quality of the products. It's an annual turnover is over INR 93 billion. TAFE has 25% market share of the Indian tractor industry with a sale of over 150,000 tractors (domestic and international) annually. The tractors are present in over 85 countries. Royal Enfield was established in the year 1909. In the beginning they were making cycles and then become a big brand manufacturing bullet motorcycles. The brand is well known for its durability from the ages ago. The value of the product will never decrease even after so many years of purchase. Yamaha is one of the trusted brand of customers found in the year 1955. Yamaha Motor made its way into India in 1985. Initially in India, Yamaha motors was in a joint venture and then in the year 2001 it became the wholly owned subsidiary of the Yamaha Motor Company Ltd, Japan. In 2008, Mitsui & Co., Ltd. entered into an agreement with YMC to become a joint-investor in India Yamaha. They strive for excellence and customer satisfaction in the service they provide. Yamaha Bikes are best in quality and highly durable. IYM's manufacturing facilities comprise of 3 State-of-the-art Plants with a great infrastructure that supports production of 2 wheelers and parts for the domestic as well as overseas markets. Yamaha Research & Development India Pvt Limited is a 100% subsidiary of YMC and it is the 5th overseas R&D headquarters for Yamaha Motor Group following Italy, Taiwan, China, and Thailand. It provides R&D and Product development services to IYM for its domestic and export markets. Products include Motorcycles, commuter vehicles & scooters, recreational vehicles, boats, marine engines, snowmobiles, electrically power-assisted bicycles, automobile engines, small tractors, personal watercraft, unmanned aerial vehicles, golf carts, power products, pools, compact industrial robots, wheelchairs, parts including apparel, helmets, musical instruments etc. These are the top 10 automobile companies in Chennai. 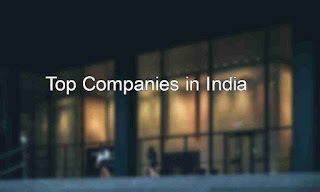 Hope you find this list of top automobile companies in Chennai. Please let us know if you know any other top automobile company in Chennai.